Summerburst – Göteborg is an electronic music festival in Sweden’s second biggest city. With a lineup of some of the biggest names in dance music, this is the country’s premier music festival. 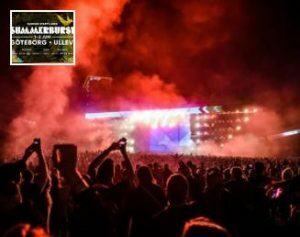 Hosting a twin festival in Stockholm, Summerburst features elaborate stage production, pyrotechnics and a booming sound system to get everyone up and dancing. Taking place in the imposing Ullevi stadium, the festival is Göteborg’s biggest party of the year. Adding new areas for this edition, it is going to be the best year yet.